Any saving of 34% is a saving that needs to be taken note of. And that is exactly what you can save when you take this stunning GoPro HERO7 Silver waterproof 4K action camera into consideration thanks to the limited time $100 drop in price. If you find yourself in a position where you need, or even just desire, a 4K-capable action camera, then the chances are that you have already performed some of your own research and arrived at the GoPro range of hardware as a viable solution. 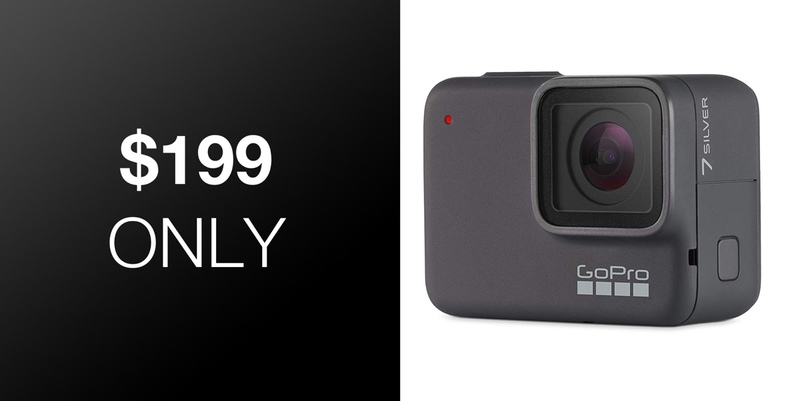 Depending on how much you want, or are able to, spend then the chances are that you have already shelved that solution and started to look for something deemed to be “more affordable.” Well, with this discount, it puts the GoPro HERO7 Silver right back in the frame and means you’d be crazy not to consider it. 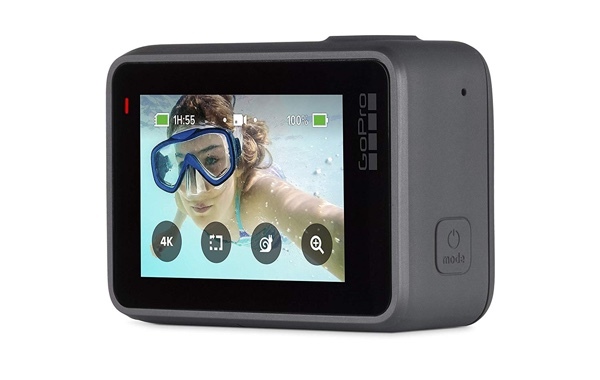 In addition to carrying an unparalleled reputation for performance and longevity, this particular GoPro model comes with stunning 4K video capabilities at 4K30, offering amazing clarity at 30 frames-per-second. It also offers beautiful still image capture with a 10-megapixel capability. So, regardless of whether you not still imagery or moving media, this HERO7 Silver package is going to have your back. Like the majority of GoPro’s camera, this model is also built for the extreme-minded individual out there. It offers a rugged design designed to take bumps and knocks and absorb them with extreme efficiency. It comes with waterproofing and means that this is your perfect action camera, come rain or snow. Or come being dunked entirely into a pool or the sea. It offers voice control for moments when your hands are tied-up. It has video stabilization functionality to ensure that you get the best shot possible. And it even has a social media-guided conscious and understands that you are going to want to post to things like Snapchat and Instagram Stories so it comes with vertical shooting. The performance and reliability of GoPro hardware have never really been up for debate. And now, thanks to this deal, the price can’t really be debated, either.